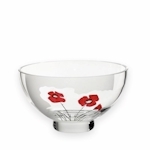 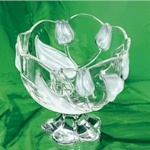 Footed bowl decorated with frosting effect and poppy flowers design. 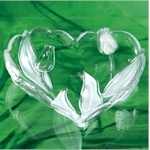 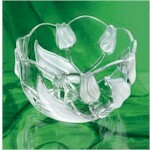 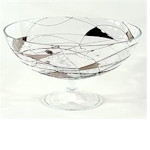 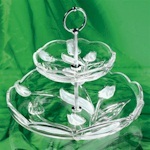 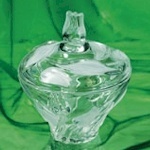 Heart shaped glass tray with embossed satin tulips pattern. 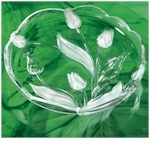 Nadine glass jar with lid, decorated with embossed satin tulips pattern.